A circular economy is an alternative to our current “take make dispose” approach. It looks to keep the flow of materials and products within the economy for as long as possible, extracting the maximum value from them whilst in use. It’s where businesses, industry and consumers work together to make things last. The circular economy approach develops new business models, designs products more smartly, re-manufactures and reprocesses to create new products from old, and repairs what we can – It looks to sustainability, where everything has value and very little is wasted. Scotland is well placed to develop a more circular economy. Businesses are already capitalising on the vast benefits of being circular, through new business models, through collaboration and by identifying and developing sustainable opportunities for innovation and increased profitability. This helps improve competitive advantage whilst addressing the issue of resource efficiency. 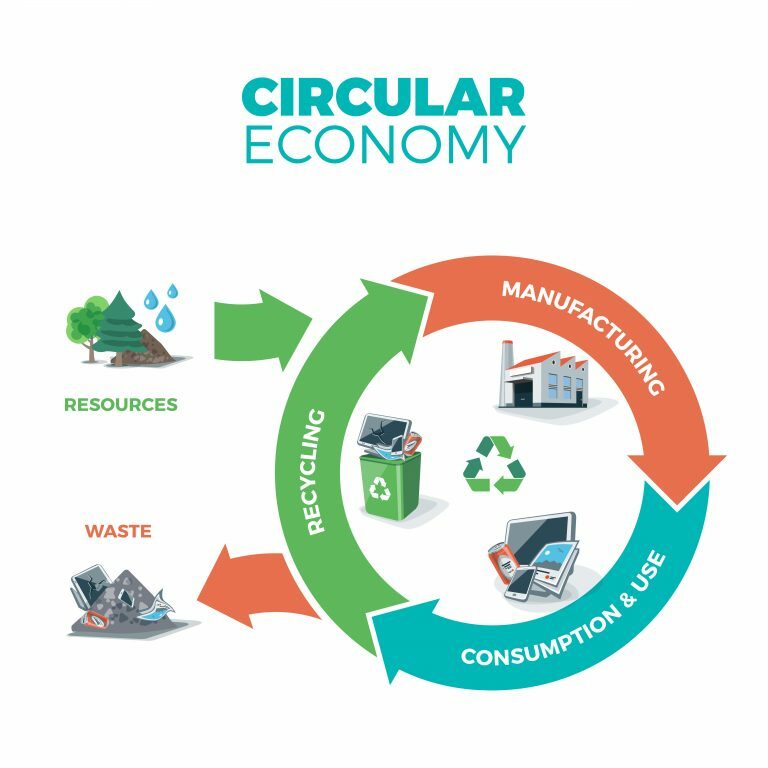 Circular Edinburgh, managed by the Edinburgh Chamber of Commerce, will deliver a programme of knowledge sharing events, workshops and roundtable discussions to inspire companies to investigate the opportunities around the circular economy and the support on offer. Funding is available from £50,000 to £1m to support SMEs pioneering alternatives to the ‘make, take, dispose’ approach, and keeping products and materials in a high-value state of use for as long as possible. To find out more contact Dita Macfarlane on 0131 603 5040.